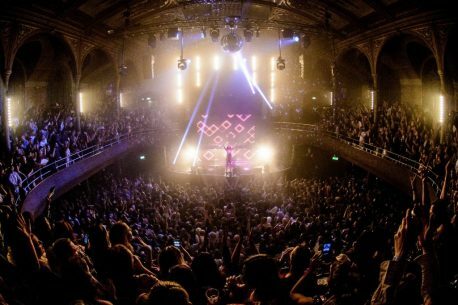 Book tickets: La Discothèque is back at Albert Hall with Kenny Dope, Prins Thomas & more. Feel-good extravaganza La Discothèque are ready to serve up another huge dose of house, disco and soul to celebrate their second birthday. Heading out on a small tour, the CityLife award-winning club night will visit Croatia’s beautiful Obonjan Island in August, before heading back to the UK for nights in Newcastle, Leeds and our very own Albert Hall on Sat 24 Nov. Returning once again to the Peters Street venue, they’ve announced another floor-filling line up with prolific and eclectic producer Kenny Dope, Norwegian cosmic disco pioneer Prins Thomas and underground stalwart Felix Dickinson, a regular on the festival circuit. Up in the bell tower, local party starters High Hoops will be keeping spirits high, with a little help from local DJ and NTS Radio host Dan Beaumont. With two more exciting special guests yet to be announced we’re expecting this to be their best outing yet, spinning legendary disco tunes and cutting-edge house to celebrate their birthday in style. Tickets start at just £20.